211 Bernard: Tonight: Double book launch with cartoonists Serge Chapleau and Terry Mosher (Aislin)! Tonight: Double book launch with cartoonists Serge Chapleau and Terry Mosher (Aislin)! 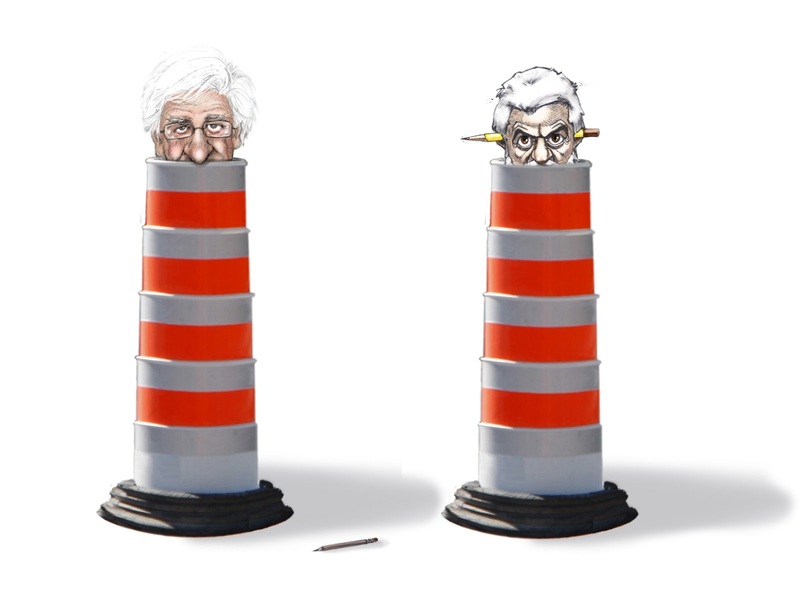 Come by the store tonight, Friday, November 23, at 7pm, for a double book launch with two of Montreal's top political cartoonists, Serge Chapleau of La Presse, and Terry Mosher (Aislin) of the Gazette! These two veteran caricaturists will share their newest collections with us, and will give a bilingual talk about their work and process. For a bit more on this event, check out this earlier post.